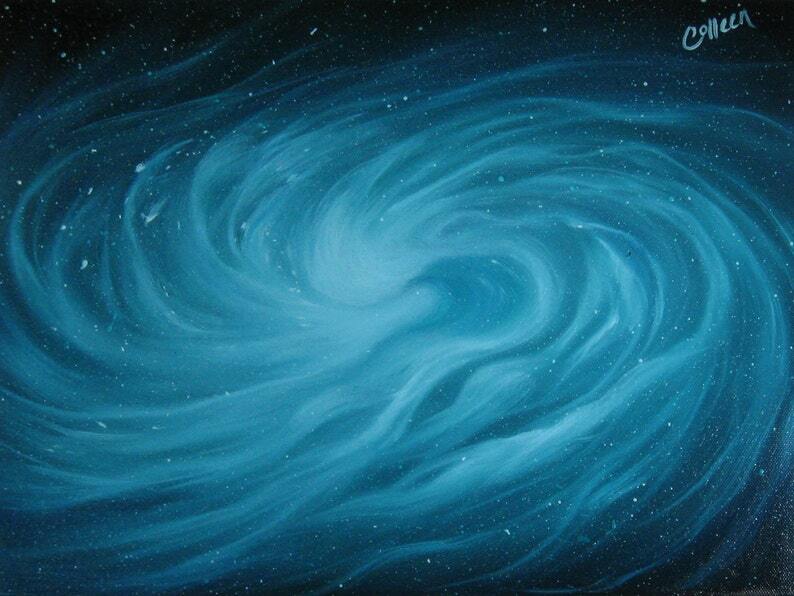 This listing is for the 12x16" original oil painting only (anything else in the photos is for size reference only). 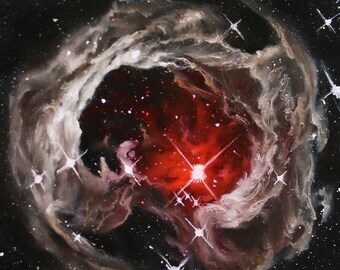 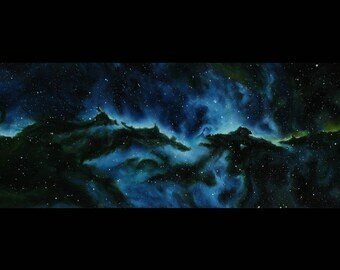 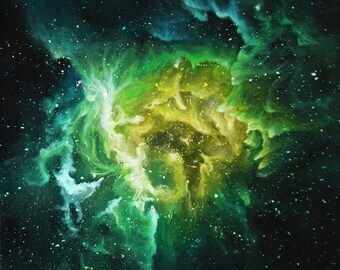 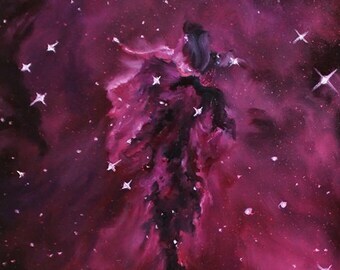 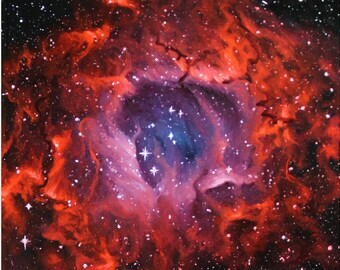 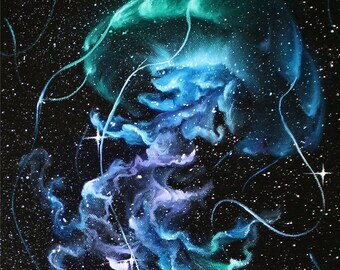 The painting was created in June 2016 and features abstract ribbons of a nebula. 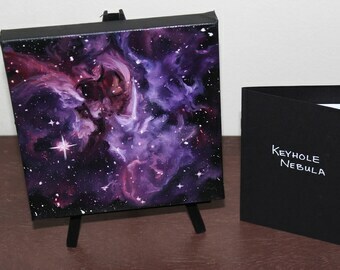 The canvas is back-stapled to a wood frame and the 3/4" thick sides are painted flat black, so that it can be hung on the wall without an additional frame and there is no need for re-stretching the painting as it will be shipped as-is (NOT rolled).